Hi, any idea on when you'll be updating to 1.13.2? howdy, i love the mod but i'm having an issue with my ship disappearing. This last time I was in the Aether, I summoned it while standing on the edge of the landmass and it looked like it spawned but its not there. The ship is no longer in my inventory. I logged out and back in but still nothing. This is the 3rd time I've had to rebuild it from scratch to fully upgraded and modded. I'm hoping theres some retrieval or map like the remote doggie collars in Doggy Talents Mod? (I also lost mine in the overworld so its not just the aether). thanks in advance! currently using millenaire with this mod but I cannot craft the engine using the recipe in the first book. Also, the airship workbench recipe shows incorrectly in the in-game book. I had to switch out to my external browser to get the proper recipe (ingame book shows that you need logic chips to build it). Airships apart from being an old means of transport were also widely used for war as bombers or gunners. I think a weapon system, like a lower hatch to launch small and medium bombs is a good way to improve this great mod. I have some ideas, we can discuss them if you feel like it. I love your work is great!, Please if you have incredible serious time to apply your updates to 1.7.10, even many people play in that version. Regards and have a great day. this mod could have blimps, bigger engines! the fact is my friend and i love the exploration we can do! keep up the good work! This mod is really crazy! But I can not figure out how to put animals, if I push them on the ship, nothing happens! Animals will not go into an airship if something, either a player or npc is already in it. Wonderful mod. Note that I'm a newbie (purchased MC last week) but sometimes I wish that the .jar file would include a text file giving some background, and other info on the mod. This one seems to work also in survival mode also and one can gather the resources to make an airship crafting table as well as crafting the zeppelin parts. E.g. 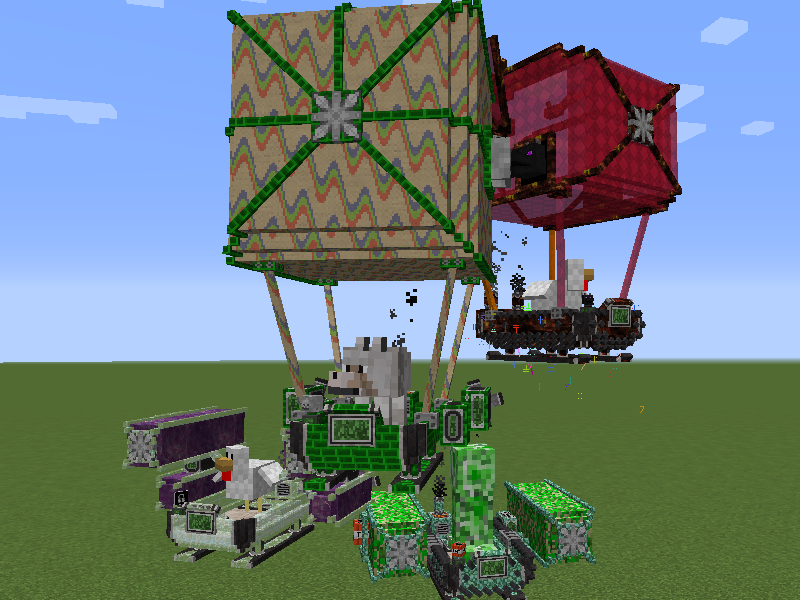 an airship balloon can be crafted with 8 pcs of leather + 1 string I think. Truly a very well detailed mod that can add a whole new dimension to the game. I haven't yet flown an airship as my 7 y/o son grabbed the PC as soon as I activated it but in v 1.12 appears to work flawlessly. I'll update with more info as I get more experience with the Viescraft. hey i pressed r in my ship, but nothing happened.I am playing 1.11.2 version and on a mac.Can some one help me???? nvm, my r key was switched to something else. Like others have said before, it would be great to be able to have more than one module, either in higher tiers or by crafting a new slot to be added. For example, it would be nice to be able to have a speed module and a fuel efficiency module so the cons can counteract each other. Have the fuel and module stay in the airship when you break it. An off switch so fuel isn't wasted when it's on the ground. I also see that you have Forge energy planned for the future. That would be fantastic! I see your point but I am not sure if I am going to make weapons for the airships. I could try to make some kind of arrow shooting module maybe, but I never intended this mod to be a warfare mod. When will the version under minecraft 1.12?